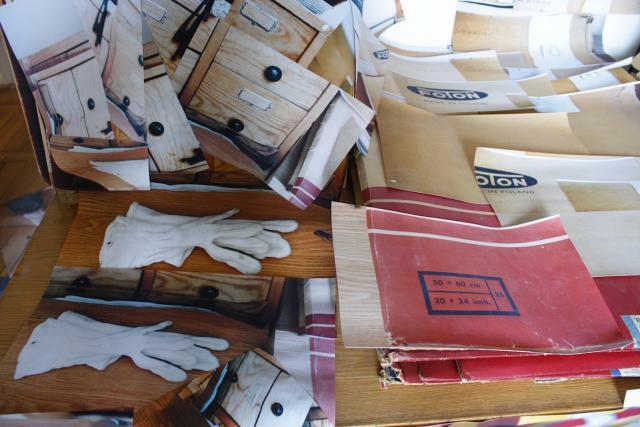 The Living Archives project was an attempt to look from a different perspective at the artist legacies and other interesting archival collections entrusted to the APF. As part of the project, historical Polish photographers’ archives were opened to contemporary artists who proposed their own projects in their context. From 2009 to 2013, twelve exhibitions took place that offered a modern-day reinterpretation of, and reflection on, the archives of artists such as Zofia Chomętowska, Zbigniew Dłubak, Jerzy Lewczyński or Tadeusz Sumiński. The projects often went beyond the traditional exhibition format. Karolina Breguła performed a series of interventions in Warsaw’s public space; Nicolas Grospierre built an installation at Tadeusz Sumiński’s home; Krzysztof Pijarski reinterpreted Jerzy Lewczyński’s collection. The result were two series of pocket-sized art books featuring reproductions of the works and short essays.